If you want to challenge a placement or an adoption order, have a look at where we discuss placement and adoption orders, where there is some brief discussion of your options. It is very difficult to successfully oppose these orders. There is a useful article here by suesspicious minds. It is probably going to be difficult to get any help with paying for legal representation to make these applications; unlike the actual care proceedings there is no automatic legal aid. You may find this post helpful; What if I don’t have a Lawyer? What’s the difference between appealing and applying to discharge an order? you can apply to DISCHARGE the order – i.e. it might have been the right order at that particular time but things are different now. I will look at appeals against the care order first, then how to apply to discharge a care order. If you are going to embark upon an appeal you will have to be very careful to identify what the judge got wrong, rather than simply say that you don’t agree with what the judge did. It is difficult to get public funding to make an appeal and some people may have to consider making an application without a lawyer. You may have to pay a fee to get the court to issue your application – there is information about this on the government website. The bundles that the court requires in order to determine the appeal are often not provided by the litigant, or are incomplete, and proper papers have to be assembled by the court, not infrequently at the request of the judges allocated to hear the case when they embark upon their preparation for the hearing just days before it is due to start. The grounds of appeal that can properly be advanced have to be identified by the judge hearing the permission application and the arguments in support of them may have to be pinpointed by the court hearing the appeal. The court has no extra resources to respond to these added challenges. Litigants in person therefore need to be aware that the papers the first judge looked at are not in front of the appeal court – they need the appellant to supply the relevant paperwork! It may be that local authorities will have to expect to assist by ensuring that the court is provided with appeal bundles. Three copies of the appeal bundles are normally required, unless the appeal is ordered to be heard by two judges in which case only two copies need be supplied. The bundles will often have to include the documentation that was available to the court below, although there can be appeals in which the issue is so discrete that a more limited selection of papers will suffice. It is so frequently the case that the papers supplied by the appellant are deficient that it should be standard practice for the local authority to take steps itself, well in advance of the hearing, to consider the appellant’s proposed bundle and, if it is deficient or apparently non-existent, to contact the court to see whether it is necessary to supply alternative or supplementary bundles. The test for whether permission to appeal should be granted is whether there is a real prospect of success or some other compelling reason as to why permission should be granted. (Rule 30(3) FPR 2010). A real prospect of success means one that is realistic rather than fanciful and not one which has a greater than 50/50 chance of success. Per Moor J in Av v VM  2 FLR 709. In NG v SG 2012 1 FLR 1211, Mostyn J said a court would only be able to say that a fact finder has got the wrong answer if a) the conclusion was demonstrably against the weight of the evidence; and b) the decision-making process can be identified as plainly defective such that it can be said that the findings in question are unsafe. You need to understand what the decision is; some judges will give you a written judgment, others will read it out. Get the best note you can as sometimes there are problems/delays getting a transcript. Sometimes Judges tell you their decision at the end of a case, other times the Judge may need to get you back into court after a few days/weeks, particularly if the matter was complicated or there was a lot of evidence. Immediately after judgment has been delivered, if there is anything you are not happy about or think the Judge has got wrong, you should bring it to his/her attention immediately. The Judge can make minor amendments there and then or provide further reasons if you are not sure why he/she has made that decision. It is important to raise ‘material omissions’ BEFORE making any application to appeal. The Judge should be given the opportunity to consider any such claimed commission before you rely on it as a ground of appeal. If you don’t alert the Judge to these issues quickly, you could find yourself criticised later on – as Arden LJ said in the case of Re T (Contact: Alienation: Permission to Appeal)  EWCA Civ 1736, if you don’t bring something to the judge’s attention as soon as you can, you might find yourself punished with a costs order later on. The Supreme Court held in the case of re K-L (Children)  that judges have power to reverse their decisions at any time before the order is ‘drawn up’ (i.e. sealed with a court stamp). If the Judge isn’t willing to make changes OR the changes made don’t reassure you, ask that Judge for permission to appeal his/her judgment. The Judge is likely to refuse but you can make another application for permission at the next court up if you do decide to appeal, and you may be criticised for not raising it with the first Judge. If you don’t have a written judgment, ask for the time limits to appeal to start running from the date that you get the transcript. Ask the Judge if he/she will order the transcript as necessary so you don’t have to pay, but if the judge doesn’t agree you need to appeal, this will probably be unlikely. The relevant form to apply for a transcript is here. You will need to act quickly. You have 21 days to appeal and if you go over that time you will have to show good reason why you should be given longer to appeal. I will look at the issue of transcripts and time limits in more detail below. Transcripts – and what to do if you don’t have one. See paras 5.23 – 5.25 of the Practice Direction with regard to transcripts of the Judge’s decision. All court proceedings should be recorded, although sometimes the equipment fails and there are often difficulties/delays in getting hold of the transcript. So you may need to have some other options. If you can’t get hold of a transcript within the time limits for sending your appellant’s notice to the court, you will have to complete the appellant’s notice to the best of your ability on the basis of the information that you have got in front of you. You are allowed to make amendments later on if the court gives you permission. See FPR 30.9 – Amendment of appeal notice. Written judgments – where a decision is made by the magistrates (‘lay justices’), they must type up the reasons for their decision. Note of judgment – when judgment was not officially recorded or made in writing a note of the judgment can be submitted for approval to the judge whose decision is being appealed. Try and get your note agreed with the other side. If the parties cannot agree on a single note of the judgment, both versions should be provided to that judge with an explanatory letter. For the purpose of an application for permission to appeal the note need not be approved by the respondent or the lower court judge. Advocates’ notes of judgments. If you had a lawyer, get your lawyer’s notes; they have a professional duty to give these to you. If you were a litigant in person but the other side(s) had a lawyer, those lawyers are under a duty to make their note of the judgment available to you, free of charge if there is no official recording or if the court tells them to. When the appellant was unrepresented in the lower court it is the duty of any advocate for the respondent to make the advocate’s note of judgment promptly available, free of charge to the appellant where there is no officially recorded judgment or if the court so directs. See para 5.31 -5.34 of the Practice Direction with regard to transcripts of the evidence. It maybe that its not just the note of judgment that you need, but also a transcript of the evidence, if there is dispute/disagreement about what the evidence actually was and what decision the judge made about it.. If there was no official recording, you will need a typed version of the Judge’s or magistrates’ clerk’s notes. If you can’t afford to pay for these notes to be transcribed the court can order that they are provided at the public expense. You should ask for this order when you ask for permission to appeal if you are worried about paying for the costs of a transcript. From time to time when this court grants permission to appeal, it directs that the evidence of a particular witness be obtained. If the appeal concerns the adoption of children, it is by definition an urgent matter and the hearing will be listed at an early date. Indeed, as here, the court granting permission to appeal may direct an expedited hearing. In such a case, the parties must use their best endeavours to obtain any transcript of evidence which is required as soon as possible. If, as here, the transcript cannot be obtained in time, then solicitors and counsel should co operate in producing a composite note of the relevant evidence. You must file with the court an Appellant’s Notice within 21 days from the date the order was made. If the order was a case management order or an interim care or supervision order the time limit is 7 days. For an Appellant’s Notice and further information about how to appeal go to the HMCTS Form Finder at http://hmctsformfinder.justice.gov.uk/HMCTS/FormFinder.do and enter ‘Appellant’s Notice’ in the ‘Words from Title’ field. You can get permission to appeal late, but the Court of Appeal recently confirmed in Re H (Children) that this is ‘exceptional’, given the importance of making speedy decisions in cases involving children. what are the reasons you say the judge got it wrong. Are you saying that the Judge ignored relevant evidence? Or relied on things that were untrue? I have decided I want to appeal. Where do I send the Appellant’s Notice? If you are appealing an order made by magistrates or a district judge the Appellant’s Notice must be sent to the family court where the order was made. 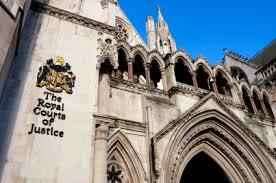 If you want to appeal a decision of a circuit judge or recorder in a public law case (including adoption) the Appellant’s Notice must be sent to the Court of Appeal Civil Appeals Office (Royal Courts of Justice, Room E307, Strand, London WC2A 2LL; email: civilappeals.registry@hmcts.gsi.gov.uk). What court do I go to? The actual process of appealing can be quite complicated. You probably won’t go straight to the actual ‘Court of Appeal’. The ‘appeal court’ that will consider your application will depend on which judge made the first decision in your case and the rules about this changed in 2014. BUT BEWARE THESE APPEAR NOT TO HAVE BEEN UPDATED – the routes to appeal are wrong for e.g. The routes of appeal from one level of judge to another have been revised with effect from 22 April 2014 to take account of the new Family Court. The Access to Justice Act 1999 (Destination of Appeals) (Family Proceedings) Order 2014 amends the Access to Justice Act 1999 (Destination of Appeals) (Family Proceedings) Order 2011 to provide that an appeal from a decision of a court officer, justices’ clerk, justice(s) of the peace, or (deputy) district judge, including a district judge (magistrates’ courts), will lie to a judge of the Family Court. The provisions of the amended AJA 1999 (DA)(FP)O 2011 are supplemented by the Family Court (Composition and Distribution of Business) Rules 2014. The Rules provide that appeals within the Family Court that would usually be heard by a circuit judge, may go before a High Court judge if this is the best use of local judicial resources. a judge of High Court judge level sitting in the family court where a Designated Family Judge or a judge of High Court Judge level considers that the appeal would raise an important point of principle or practice. 4A Circuit judge or Recorder, except where paragraph 5 of this table applies. 5 Circuit judge or Recorder, where the appeal is from:(a) a decision or order in proceedings under –(i) Part 4 or 5 of, or paragraph 19(1) of Schedule 2 to, the Children Act 1989; or(ii) the Adoption and Children Act 2002;(b) a decision or order in exercise of the court’s jurisdiction in relation to contempt of court, where that decision or order was made in, or in connection with, proceedings of a type referred to in sub-paragraph (a); or(c) a decision or order made on appeal to the family court. 8. Any other judge of the family court not referred to in paragraphs 1 to 7 of this table. The Court of Appeal operates under a similar but different set of rules – the Civil Procedure Rules (CPR) as opposed to the Family Procedure Rules (FPR). The usual position is that hearings in the Court of Appeal are held in open court, unlike the vast majority of court hearings involving children. See further this post from the Transparency Project – High Court appeals to be heard in open court? The Court of Appeal is facing a huge back log of work and there has been an increase in the number of litigants in person so in 2016 there was a change to the court rules to try and deal with this. The rules introduce a new Part 52. You used to have an automatic right to request an oral hearing for permission to appeal, if your first request in writing was rejected. This has now changed. Your application for permission to appeal will be decided on your written application unless the court decides this would not be fair, and it needs to hear further argument. How do I get permission to appeal? If permission to appeal was refused by the Judge who made the first decision, your first step is to get the appeal court to give you permission. It maybe that your appeal will be listed to be heard immediately after the application for permission, if that is successful. there is some other compelling reason for the appeal to be heard. there is some other compelling reason for the Court of Appeal to hear it. Applying for permission to appeal to a Circuit Judge or in the High Court. You can request an oral hearing – i.e. where you get to make your arguments in person before the Judge. However, the Judge dealing with your written application can decide that your application is totally without merit and can make an order preventing any further oral hearing. See Part 52.4 (3). Your only option if this happens is to apply for judicial review of the Judge’s refusal to grant you permission to appeal, but the circumstances would need to be ‘exceptional’. If your application for permission by way of written application is refused but not dismissed as without merit, FPR 30.5(5) and (6) allow you to challenge that decision as long as you ask for another hearing in writing within 7 days of notice that permission was refused. An appeal is limited to a review of the decision of the lower court UNLESS the appeal court decides the interests of justice require a re-hearing. Can I bring any new evidence before the appeal court? Generally, no. The appeal court will not be keen on hearing new evidence, either spoken or in writing unless you have some very good reasons why that evidence hadn’t been available to the first court. Permission to appeal is granted – Will my appeal be successful? (b) unjust because of a serious procedural or other irregularity in the proceedings in the lower court’. ….does the judgment sufficiently explain what the judge has found and what he has concluded as well as the process of reasoning by which he has arrived at his findings and then his conclusions. The Supreme Court considered the nature of appeals against care orders in Re B in 2013. This is a very important decision in relation to the role of the appellate court in cases that involve the making of care orders. The decision of a Judge as to whether or not the threshold is crossed in a particular case is an exercise of that judge’s discretion. The next decision is what kind of order should be made, once threshold is crossed. That is both an exercise of the judge’s discretion and imposes an obligation upon him or her to make a decision that is proportionate and thus compliant with Article 8 of the ECHR. It was a unanimous decision that the test to be applied by the appeal court is whether or not the decision below was ‘wrong’. For an example of where a Judge got it very, very wrong – by making final care orders at a Case Management hearing – see the case of Re S-W (Children) EWCA Civ 27 in 2015.
failed to give adequate reasons for his/her decision. Drawing matters together, whilst I do not conclude that the outcome ordered by the judge is, of itself, wrong and therefore to be set aside, I am sufficiently concerned about the process of these proceedings as a whole, which I have held has violated the Art 8 rights of both M and her father, and also by the deficits in the judge’s analysis which I have now identified, to conclude, in the words of CPR, r 52(11)(3), that the outcome is ‘unjust because of a serious procedural or other irregularity’. For the previous systemic failure to end in a hearing which itself was highly unsatisfactory and where the judge has failed to conduct a sufficiently thorough analysis, makes it almost inevitable that this court will consider that it has a duty to intervene with the aim of establishing an effective and full rehearing. The appeal court should NOT interfere with the first court’s decision, just because it would have made a different decision. It should only interfere if that decision is ‘wrong’. The appeal court will also remind itself that the first judge had a significant advantage in that he/she got to see and hear the parties give evidence and is thus in a much better position than the appeal court to assess the strength of that evidence. Just because a judgement is short doesn’t make it automatically suspect. The more experienced a judge, the more likely he or she can express the reasoning process shortly. My appeal is successful – should the court order a re-hearing? The judge’s first task on appeal is to identify the error of fact, value judgment or law which is bad enough to allow the appellate court to interfere. In care proceedings, it will always be a value judgment about the child’s welfare and whether or not the decision appealed against was a proportionate response; so the appeal judge needs to review whether that decision was right or wrong. Once the judge has identified the error, its up to the judge whether or not to make another decision or to send it back for another hearing before a different judge. The judge has the power to fill gaps in the reasoning of the first court and give additional reasons in the same way that is permitted to an appeal court when a Respondent’s Notice has been filed. In the exercise of its discretion the court must keep firmly in mind the procedural protections provided by the Rules and Practice Directions of both the appeal court and the first court so that the process which follows is ‘procedurally regular,’ that is fair. If the appeal judge decides that the error identified is sufficiently discrete that it can be corrected or the decision re-made without procedural irregularity then the appeal court may be able to correct the error and support the first order – i.e. decide that the right decision had been made, just for the wrong reasons. This may be the right thing to do when the first judge’s reasoning process was not clearly set out in the judgment. BUT If the question to be decided is a key question upon which the decision ultimately rests and that question has not been answered and in particular if evidence is missing or the credibility and reliability of witnesses already heard by the first court but not the appeal court is in issue, then it is likely that the proceedings will need to be remitted to be re-heard. If that re-hearing can be before the judge who has undertaken the appeal hearing, that judge needs to acknowledge that a full re-hearing is a separate process from the appeal and that the power to embark on the same is contingent upon the appeal being allowed, the orders of the first court being set aside and a direction being made for the re-hearing. In any event, the re-hearing may require further case management. The two part consideration to be undertaken by a family appeal court is heavily fact dependent. I cannot stress enough that what might be appropriate in one appeal on one set of facts might be inappropriate in another. It would be unhelpful of this court to do other than to highlight the considerations that ought to be borne in mind. There is a useful article about this case by suesspiciousminds here. If some time has passed since the judgment – months, rather than weeks – and you think you can show that your situation has changed for the better, you can apply to discharge the care order. Section 26 of the Children Act 1989 says there must be regular case reviews for all Looked After Children (the LAC Review) which will include getting the views of the parents and children. One item to be considered every six months is whether or not the LA should apply to the court for a discharge of the care order: see the Review of Children’s Cases Regulations 1991 (SI 1991 No. 895). Every local authority must also establish a procedure for considering representations, including complaints, made to it by any child who is being looked after by it, or by his parents, about the discharge by the authority of its parental responsibilities for the child. Discharge and variation etc. of care orders and supervision orders. (c) the local authority designated by the order. If the court does not think your application has any merit, it can dismiss it quickly – see the case of A-Z v Birmingham City Council in 2013. The father had had no contact with any of his children for at least 18 months and the court concluded there was no prospect that their current placements would be disrupted. See also the case of X (Discharge of care order  EWFC. You will apply on Form C110A with copies for each respondent, which is every person you think has parental responsibility for the child under a child arrangements order before the care order was granted, the child, the parties to the original care proceedings. Other people must be given notice of the proceedings, including the LA who is providing accommodation for the child and anyone who is caring for the child at the time you make the application. See also the FPR Practice Direction 5A and 12A. On filing your application with the court, the Public Law Outline timetable starts running so the application must be completed in 26 weeks. EDIT 24th January 2019 there appears to be considerable confusion about whether or not C110A IS the right form. One parent contacts me to say that no one can clarify if she is required to fill in a C1 a C100 OR C110A. After pleas for clarification via Twitter, five lawyers have opined it is C110A; but a very respected child protection lawyer responds that it is in fact C1 and C110A is used by those who wish to apply for an EPO. I think sadly all I can say is – watch this space. But it clearly isn’t acceptable that so much confusion exists about such a fundamental matter. Edit 20th February 2019 – the parent in question applied using the C110A which the court accepted. So use this form or ask the court office to clarify which one they want you to use! For further discussion see this post. For a recent authority when the court looked at discharging a care order see X (Discharge of care order) . The Judge was very concerned in this case by the failures of the LA. The court emphasised that it was important to look at the question of whether or not it was proportionate for a care order to continue. Suesspiciousminds has commented on this case here. There is a useful judgement from Mostyn J in the case of GM v Carmarthenshire County Council & Anor  EWFC 36 (06 June 2018) where he commented that if this mother’s application didn’t succeed then section 39 should be scrapped! This entry was posted in I want to appeal or discharge the care order and tagged appeal, discharge of care order, FPR Part 30A, PD 30A on May 18, 2014 by Sarah Phillimore.